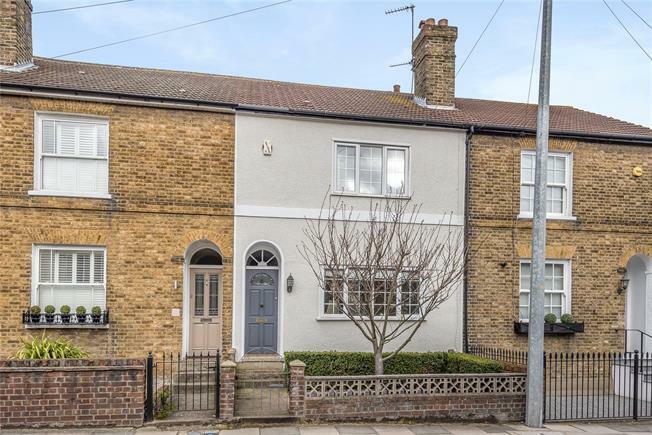 3 Bedroom Terraced House For Sale in Chislehurst for Asking Price £525,000. Presented to the market in superb condition is this deceptively spacious three bedroom cottage. The property is located within walking distance of Chislehurst High Street and offers a large through lounge/diner, modern fitted kitchen, utility room and WC to the ground floor. The first floor offers two double bedrooms and a family bathroom with separate shower. The loft has been converted to provide a further double bedroom. Outside enjoys a rear garden which is mainly laid to lawn. Viewing essential.